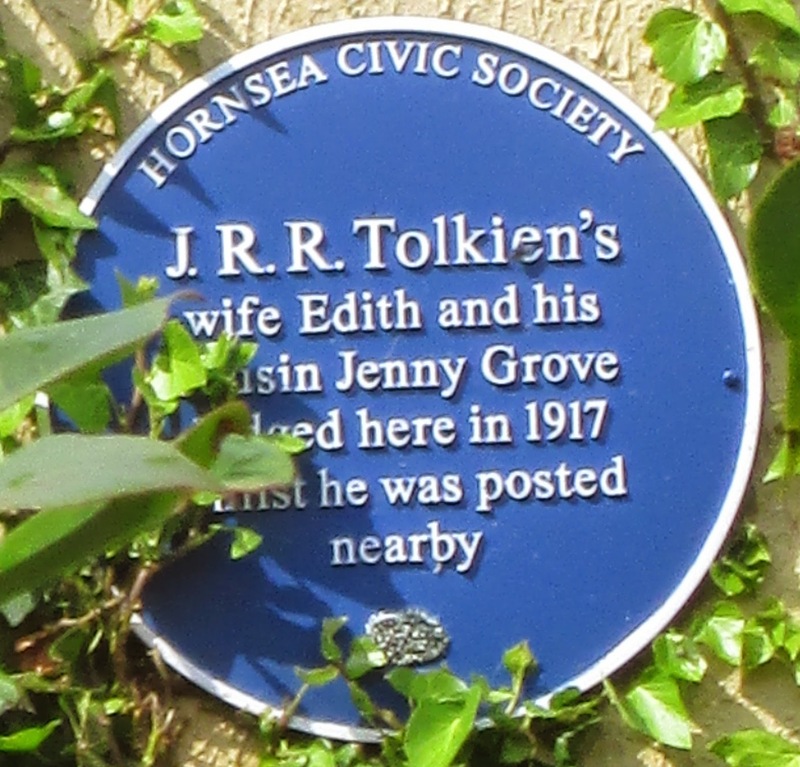 The first entry on this record of blue plaques marking J.R.R. 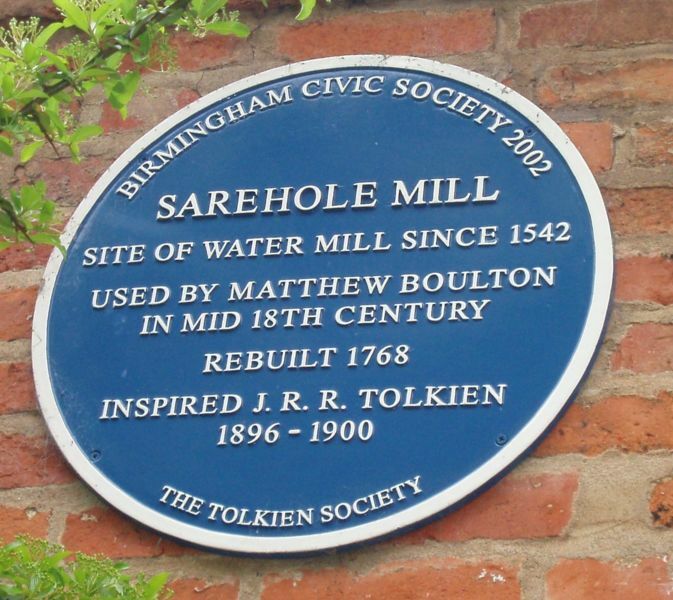 Tolkien comes from Sarehole (now) in Birmingham. 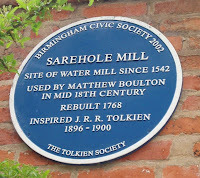 In 1896 Sarehole was a hamlet a mile south of the city. The mill at that time had been modified to meet the demands of an increasingly industrial region. For Tolkien and his young brother it was a place of adventure, both imagined and real, and definitely perilous. The second is also in Birmingham and commemorates a brief stay at the Plough and Harrow, in Hadley Road. He stayed here with his wife, Edith, 2 months after their wedding before traveling to London and then France to serve in the First World War. Tolkien first saw action in France on 14th July when he and his company (11th Lancashire Fusiliers 'B') were attached to the 7th Infantry Brigade tasked with attacking the hamlet of Ovillers. While providing the signalling in the tangled confusion of trench warfare he contracted a 'pyrexia of unknown origin' more commonly known as 'trench fever'. By the 8th of November he was back in Birmingham having been ill since the 27th October. By December he was well enough to leave hospital and initially convalesced at Great Haywood. Towards the end of this recovery he was taken iii again and sent to a sanatorium in Harrogate. 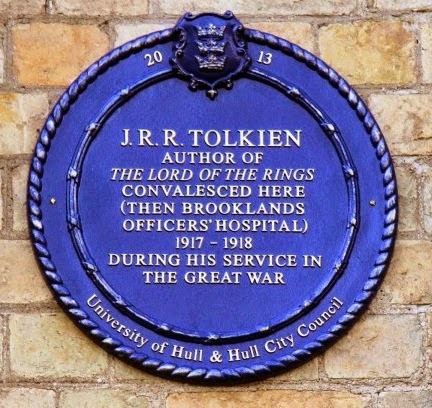 Some more recent additions to the Yorkshire plaques marking Tolkien's time in region include one on the former Officer's Hospital near Hull; and the house in Hornsea where his wife Edith, and her cousin lived during his postings in East Yorkshire. 2 Darnley Road, West Park, Leeds. 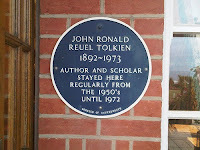 Tolkien bought this property in 1924 when he was employed as a Reader in English Language at the university. In that same year he was made a Professor of the English Language and became a father for the third time with the birth of his youngest son, Christopher. 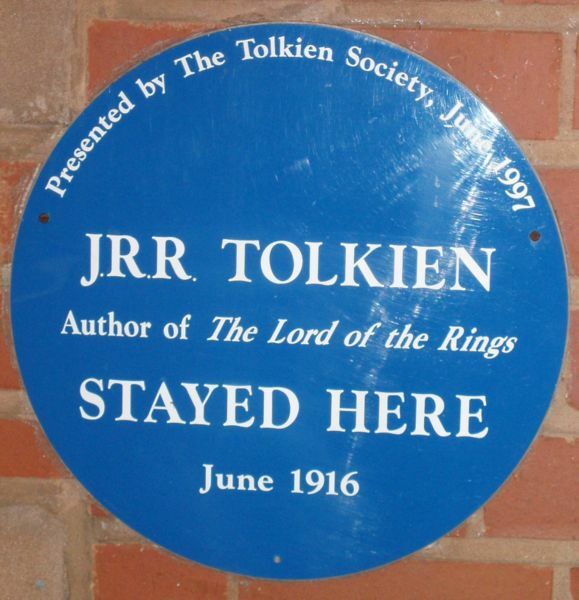 The family lived at Darnley Road till 1925 when Tolkien’s application and election to the Rawlinson and Bosworth Professorship of Anglo-Saxon at Oxford saw the family move to Oxford. 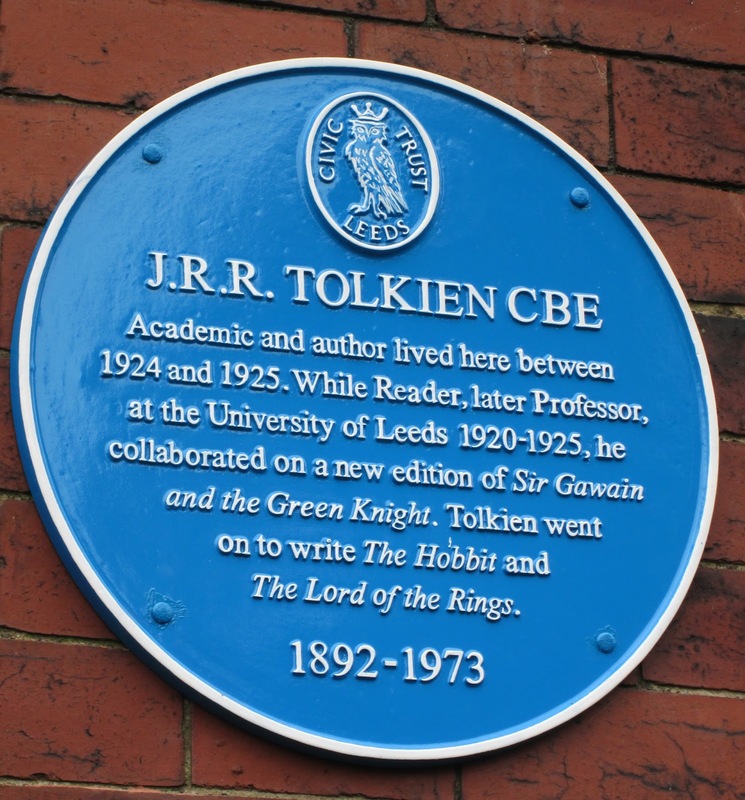 Tolkien wrote 'The Hobbit' and 'The Lord of the Rings' while he held his academic posts in Oxford. 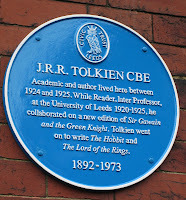 This plaque, on 20 Northmoor Road most accurately links the authors 'residence', to this work. 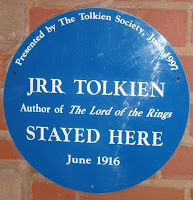 The final entry marks Tolkien's retirement when he and his wife enjoyed holidays away from Oxford. They would stay at the Miramar Hotel in Bournemouth.